Home / Blog / Travel & Play / Napa Valley: Wine, Dine, Spa. Repeat. 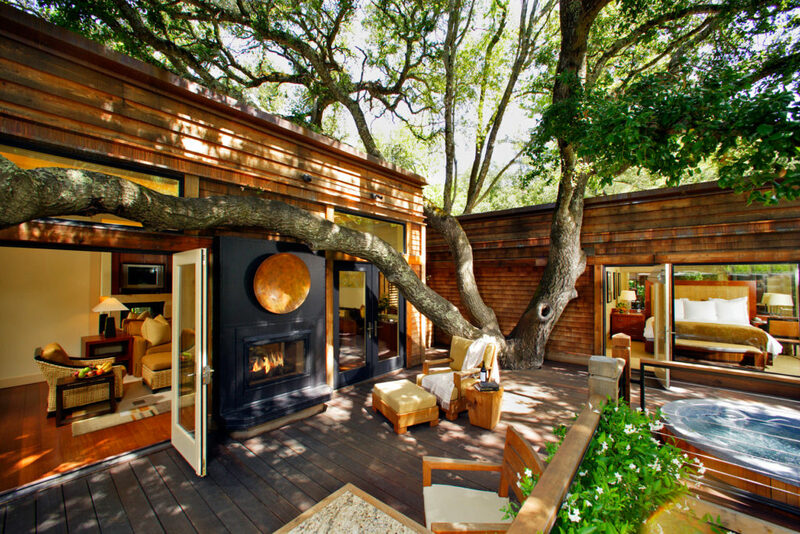 Napa Valley: Wine, Dine, Spa. Repeat. Where to Stay: Staying at Meadowood feels like you’re a member of Napa Valley’s most stylish country club. The sprawling property has just 85 rooms and cottages, and there’s plenty to do without leaving property. Not only are there a couple of great pools, but also a croquet lawn, tennis courts, nine-hole golf course and four miles of hiking trails. The treeline suite is incredibly comfortable and intimate, with a living room fireplace, private deck and Carrara marble bathrooms with double vanities. I love how the flat screen TV is discreetly hidden within the large writing desk and even when the property is full, you don’t feel crowded, except maybe at the pool. 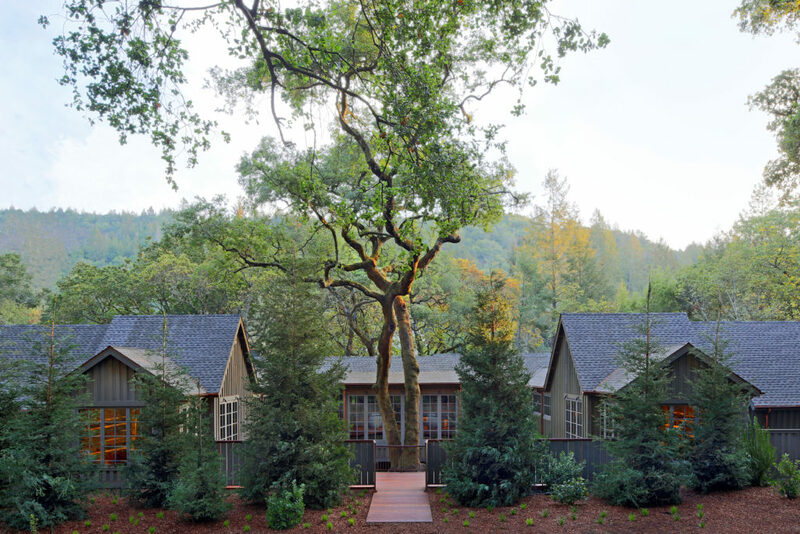 I remember playing tree houses as a kid, but I never thought I could permanently live in one until I checked into the Oak Creek lodge built into a mighty 100-year-old oak tree, at Calistoga Ranch. Taller guests will need to duck as they make their way across the sun deck from the living room to the bedroom. Indoors and outdoors blend seamlessly across 1,200 square feet, including a hot tub on the sun deck, outdoor shower with bay laurel and eucalyptus body wash and shampoo and a mini-fridge stocked with Calistoga’s own private label Chardonnay and snacks. I enjoyed stepping outside and soaking up the sunshine at every opportunity. This is the kind of place where you can’t help but let down your guard and relax. Once you settle in, you won’t want to leave so don’t make too many plans. Where to Spa: The new all-suite Meadowood Spa that reopened last November is in a class of its own. There are eight treatment suites, each comprised of a fully-stocked bathroom and living room-like treatment room. My therapist, Widad, sat down beside me on the couch to discuss my preferences and help me select a massage oil from the Aromatherapy Associates collection. My blissful 90-minutes began with a lavender rosemary steam shower to relax and clear my mind before settling onto the heated massage bed for a massage that was incredibly deep and powerful but never painful, with a warm, nourishing vanilla and geranium oil. Never before have I had a therapist who understood my scoliosis and my body so well, instructing me to breathe with every cell in my body as she kneaded through what she called “dense energy flows” in my hips and shoulders. To conclude my treatment Widad spread a grapefruit peppermint balm over my lips and misted my face lightly with Glycelene’s Seatox Mist before bringing me a wheatgrass pineapple elixir to hydrate and revive me. Every aspect of the spa, from the design to the service, truly exceeded my expectations. Spa snacks are all housemade, including fruit chips, candied nuts and granola bites made with amaranth, quinoa, turmeric and honey. Even the face cradle on the massage table was surprisingly comfortable. Allow yourself plenty of time to relax in the garden lounge before returning to reality. Take a dip in the mineral bath as you wait for your spa lunch to arrive. I recommend taking a look at the menu and ordering before your treatment as it can take an hour for your food to be prepared. At the Auberge Spa at Calistoga Ranch book one of the 90-minute anthology series treatments for the most luxurious experience. Every Auberge property has variations on these treatments, including one massage, body treatment and facial. The Auberge Attunement is a creative deep tissue massage with warm grape seed compresses, hot stones and even hot and cold stones used simultaneously on your body. The slippery sensation is a little shocking at first but feels nice and helps increase circulation. Where to Wine & Dine: Cruising up the driveway to Inglenook is breathtaking. You’ll park in front of one of the oldest homes in Napa Valley and enter the grand chateau for a tour and tasting, starting with a glass of Blancaneaux (their flagship white wine) to sip and swirl as you explore the cellar and vineyards. 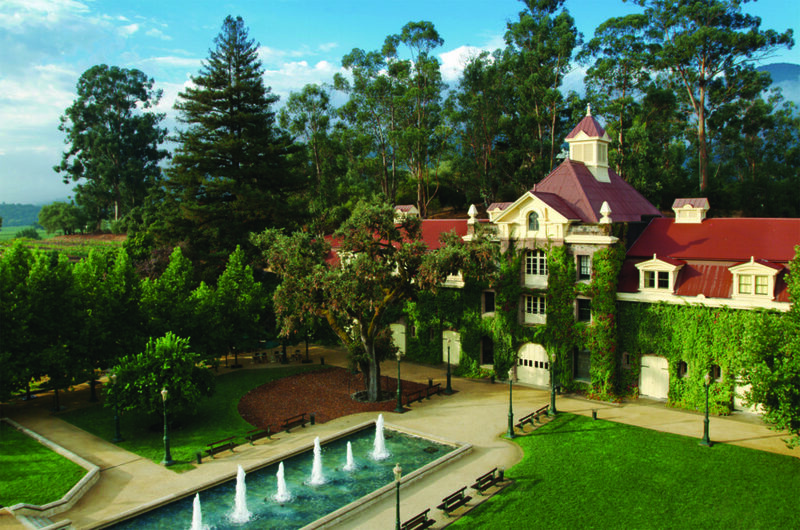 There are so many rich stories lingering in these somber walls, from Gustave Niebaum’s first harvest in 1882 (his initials still grace the Rubicon label) to Francis Ford Coppola purchasing the winery in the 1970s and along with winemaker André Tchelistcheff restoring the vines to their former glory. Several certified sommeliers help guide the various tastings, and in a private salon, you’ll try several bites of food paired with three of the winery’s best red wines – Edizione Pennino, Cask Cabernet Sauvignon and Rubicon – the latter with creamy quinoa and beef short rib. 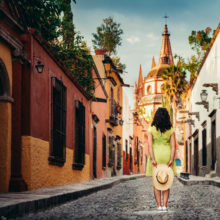 Amber Gibson writes about food, wine, travel, spas and beauty for Hemispheres, American Way, Four Seasons Magazine, Artful Living, Departures and Saveur. Follow her adventures on Instagram @amberyv or at ambergibson.com.